This picture is © Mike Dowsing Collection and may not be used or published without permission. Another example, of the short lives, of fifties jet fighters. 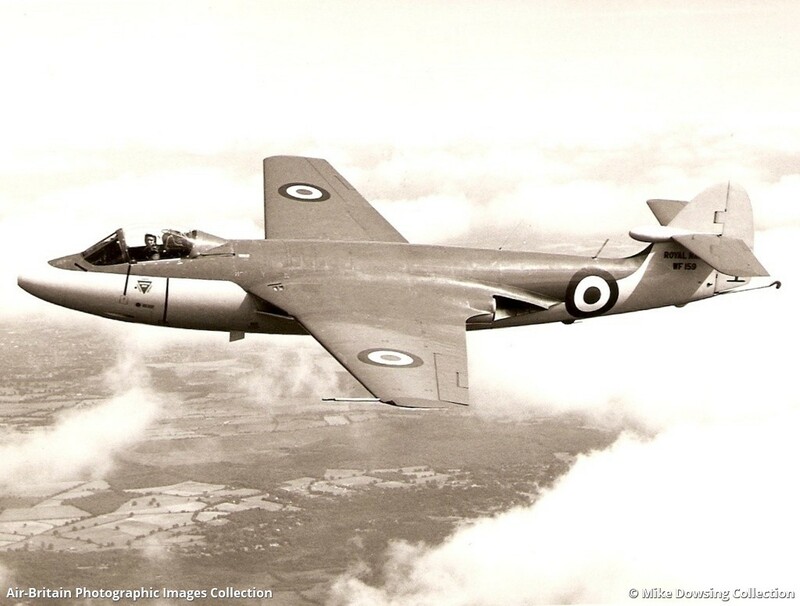 This view from Hawker, of the graceful Sea Hawk,was probably taken in 1953, when WF159 was delivered. By 1956, it was a maintenance airframe, and ended its days at Predannack Fire School, in 1965.